A couple questions have come in about building legs for enhancing the Adonis Index ratio. The workout is designed to develop legs but not quite at the same rate or degree as the upper body. 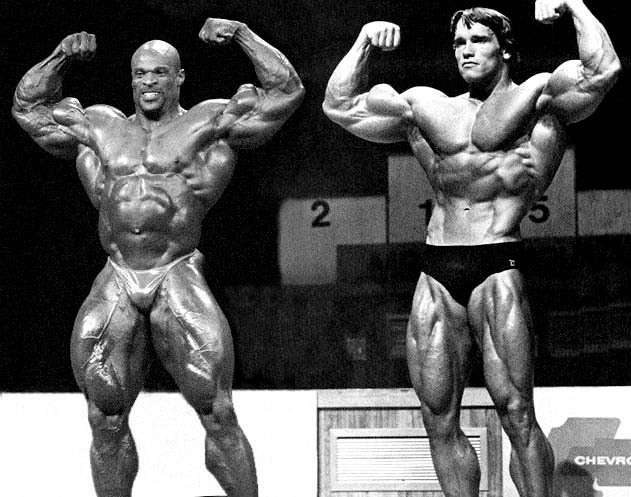 The best way I can describe it is with this picture comparison of Arnold vs Ronnie. I designed the workout to try and mimic Arnolds upper-to-lower body proportions and avoid ronnies look.